We are excited to welcome back #SouperStar Emily to the line-up hosts this year. She and the crew have a fun night planed at Global Gallery - 3535 N. High St., Columbus, OH 43214 - on Wednesday, November 7th from 6-8pm. 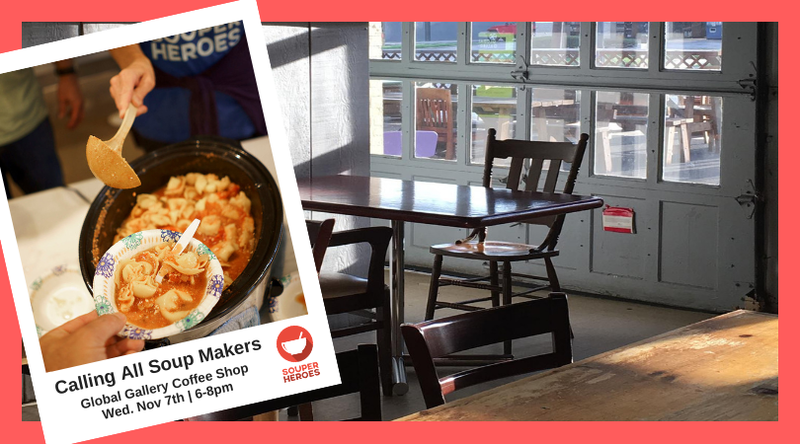 Show up for an evening of fun with food & community while providing for those who don't have enough of either in their beautiful Fair Trade coffee shop and art gallery. 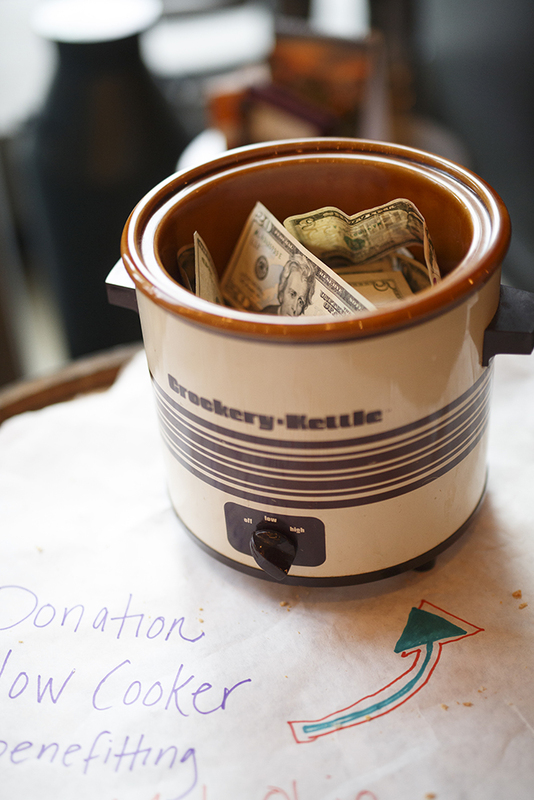 All proceeds from the Donation Slow Cooker will benefit Women Crafting Change. Join as a soup maker by volunteering to bring a family-sized slow cooker full of your favorite soup to the event. Just fill out the form below and we'll reach out and get you all the final details. Or just join us as a diner. Enjoy all the complimentary soup and bread you'd like, dine with your community and take the opportunity to pay it forward in the Donation Slow Cooker. All proceeds will benefit Women Crafting Change and help people right in our neighborhood. Want to Host a Souper Heroes? It's fun and easy with our Souper Heroes Starter Kit, a step-by-step guide to everything you need to know. Plus we'll be there to help all along the way, including creating a web page, signage, and promotion! Interested in learning more about being a guest host? Great! Learn more about it here. Over the last six years we have brought the Columbus community together to share a meal of free homemade soups and freshly baked bread. And through that we've put over 100K meals into the local Columbus hunger relief system by allowing diners to throw their contribution into our Donation Slow Cooker. Never been to a Souper Heroes event? Learn more about it here. Any questions? We're here to help. Fill out this contact form and we'll be in touch! Sign Up to Make a Soup for Souper Heroes: Global Gallery! Join the soup maker line up below. We can't wait to hear from you. Tell us what soup you are bringing, ask us any questions, anything! Just say Hi! We're so excited you're going to share your soup with Columbus. The task is simple. Make a family-sized slow cooker full of your soup and bring it to the monthly venue with your favorite ladle. You'll stand with the other soup makers and serve your soup up to all who want to try it. You'll receive more details once our entire line up is complete - about a week before the event.